Most Americans consider detente to be among the Nixon administration'smost significant foreign policy successes. The diplomatic back channel that national security advisor Henry Kissinger established with Soviet ambassador Anatoly Dobrynin became the most important method of achieving this thaw in the Cold War. Kissinger praised back channels for preventing leaks and streamlining communications. These methods, however, were widely criticized by State Department officials and by an American press and public weary of executive branch prevarication and secrecy. 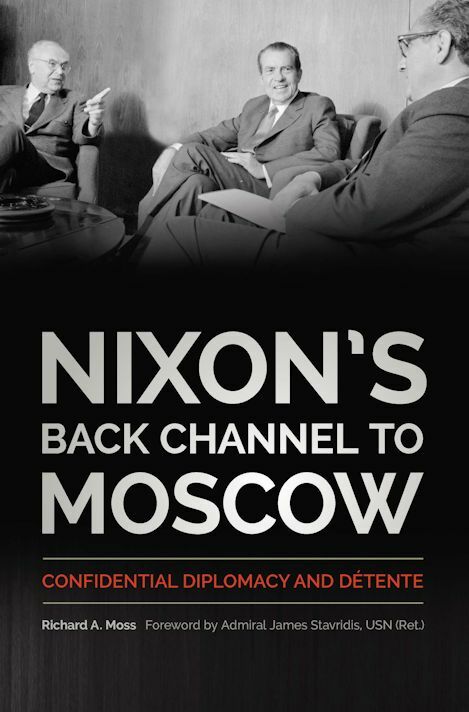 Richard A. Moss's penetrating study documents and analyzes US-Soviet back channels from Nixon's inauguration through what has widely been heralded as the apex of detente, the May 1972 Moscow Summit. He traces the evolution of confidential-channel diplomacy and examines major flashpoints, including the 1970 crisis over Cienfuegos, Cuba, the Strategic Arms Limitations Talks (SALT), US dealings with China, deescalating tensions in Berlin, and the Vietnam War. Employing newly declassified documents, the complete record of the Kissinger-Dobrynin channel ─ jointly compiled, translated, annotated, and published by the US State Department and the Russian Foreign Ministry ─ as well as the Nixon tapes, Moss reveals the behind-the-scenes deliberations of Nixon, his advisers, and their Soviet counterparts. Although much has been written about detente, this is the first scholarly study that comprehensively assesses the central role of confidential diplomacy in shaping America's foreign policy during this critical era. Richard A. Moss is an associate research professor at the United States Naval War College's Center for Naval Warfare Studies. Moss earned a B.A. from the University of California Santa Barbara and an M.Phil and Ph.D. in History from the George Washington University. He specializes in U.S.-Soviet relations during the Cold War and is an expert on the Nixon presidential recordings. He previously served with the U.S. Department of Defense, as an historian with the U.S. Department of State, and worked with Luke A. Nichter and the National Security Archive to make the entire digitized collection of Nixon tapes available at nixontapes.org. Views are personal and do not necessarily represent those of the U.S. Government, U.S. Navy, or the U.S. Naval War College.